Manufacturing | Select Trusses & Lumber, Inc.
Manufacturing trusses of the highest quality is our goal. 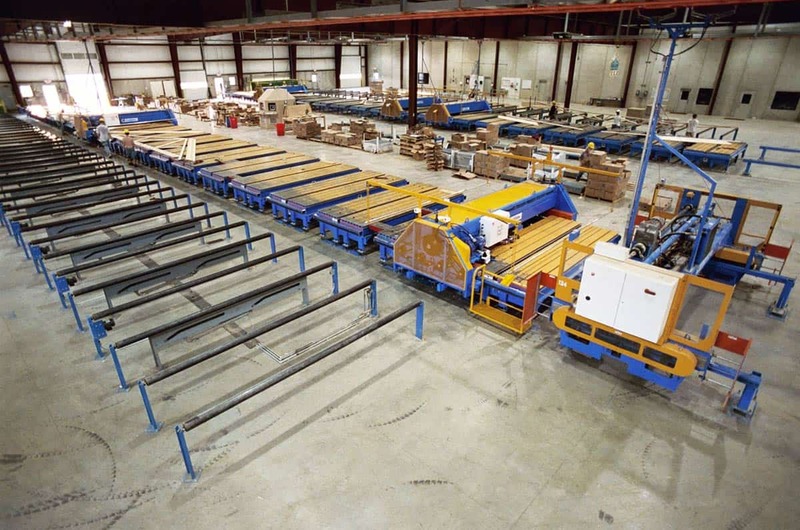 Over the years we have made substantial investments in our manufacturing facility and equipment which enables us to consistently produce accurate, high quality trusses that meet our customers timeline and budget. Our Virtek laser system begins the truss assembly process by beaming down the specified truss profile for our builders to accurately jig. Once the jigging is complete, our pre-cut material is combined to form the specific truss being built. The material combined forms the profile of our truss and Mitek plates are then tacked into place and rolled with our Mitek Roof Tracker gantry system. Before bundling the trusses we use our Auto Roll Finish Press to ensure complete plate embedment.